Most of the time when I’m in this area I take photos which are of this particular building, and indeed the spot where I am standing. 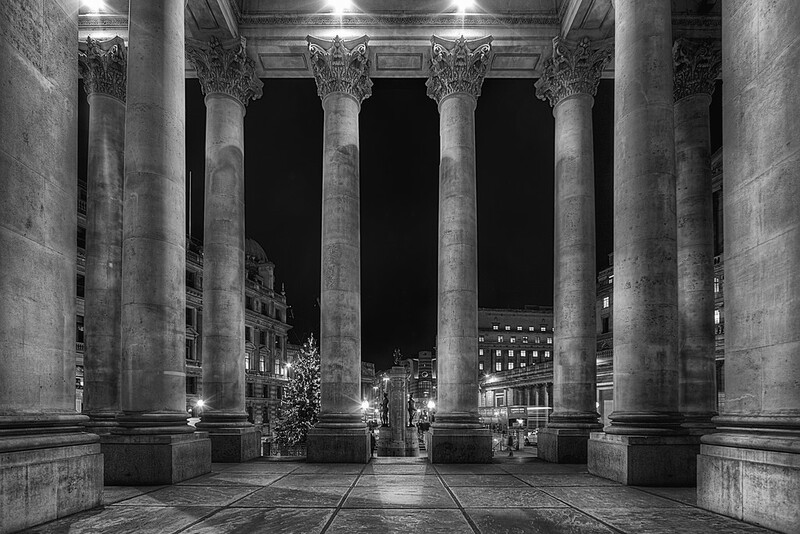 This time, however, it was nice to get a shot from the entrance of this, the Royal Exchange, looking out through the columns. There was a lot of lens flare coming out from the lights at the top of the image, but luckily this was only where the actual sky was. It was easy enough to paint over in Photoshop to ensure the flares disappeared. Then I opted to turn it into a black and white image anyway, so the lovely hue I painted in was irrelevant in the end.